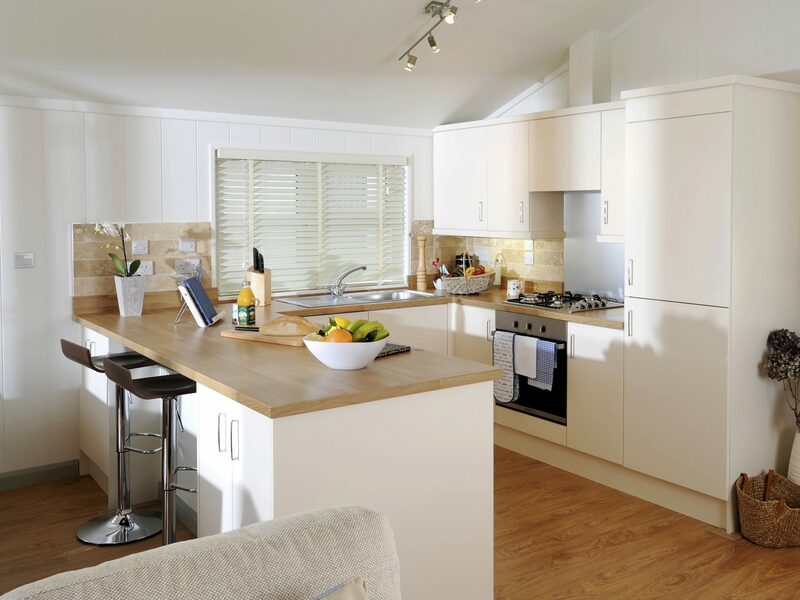 The Spinney is a completed development of 28 40′ x 20′ luxury lodges. 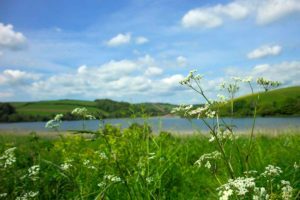 We laid out the Spinney spaciously to install 28 lodges into 5.8 acres. Installing, on average, 3 lodges per year, the final lodge has now been installed and the development complete. All these lodges have been built to British Standard 3632 and, with the extra surrounding space, each lodge has a feeling of space and privacy, a feeling that is now added to as the continued planting of shrubs and bushes each year has made the Spinney a mature and attractive area. 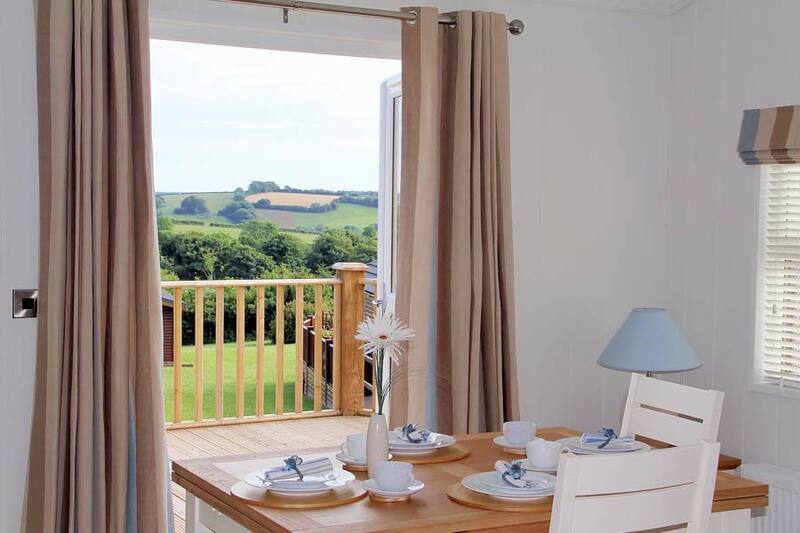 There are delightful views over the park to the Devon countryside and the Dartmoor hills. 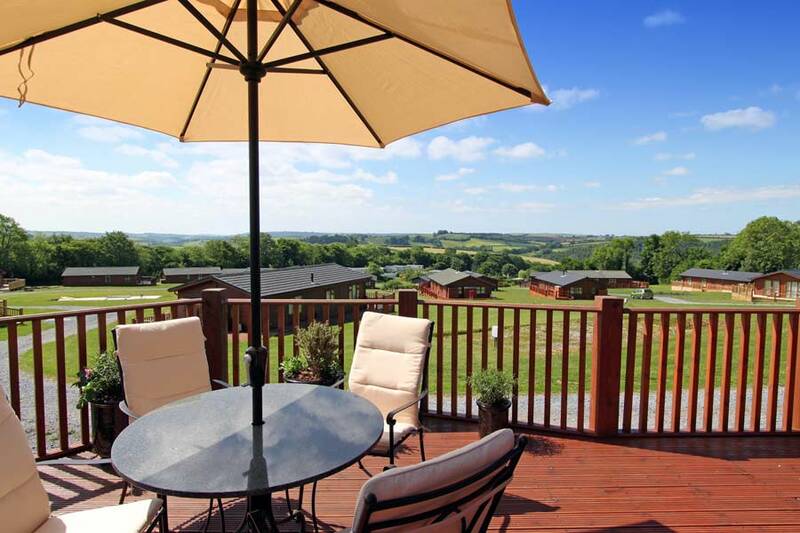 These lodges occasionally come up for sale as a value for money pre-owned option. Park Security System & Broadband. Lease agreement of up to 65 years depending upon terms of sale. The internal finish of these lodges always surprises first time viewers. 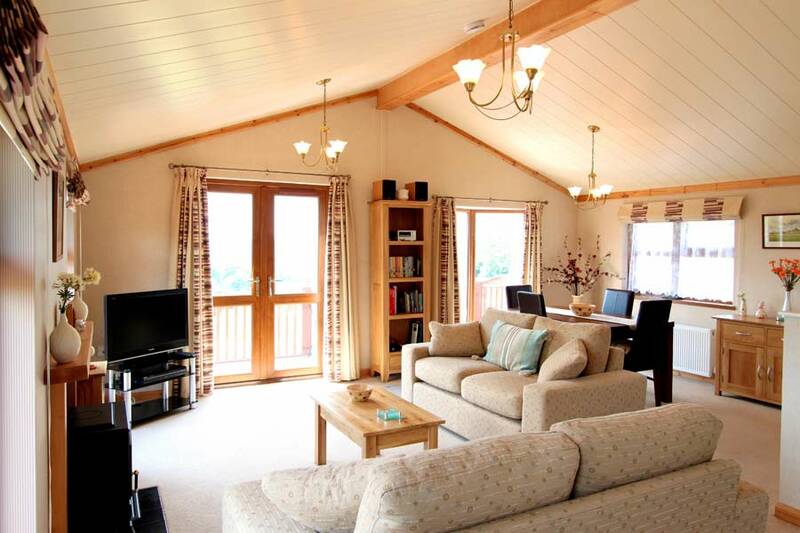 The lounge/dining area is the spacious and relaxing centre of your holiday lodge. The large windows, the french doors and the vaulted ceiling all add to the sense of space whilst retaining a feeling of warmth and welcome. Integrated with the lounge/dining area is a modern kitchen designed to provide you with plenty of surface areas and cupboard space, in addition to supporting a full complement of kitchen appliances. 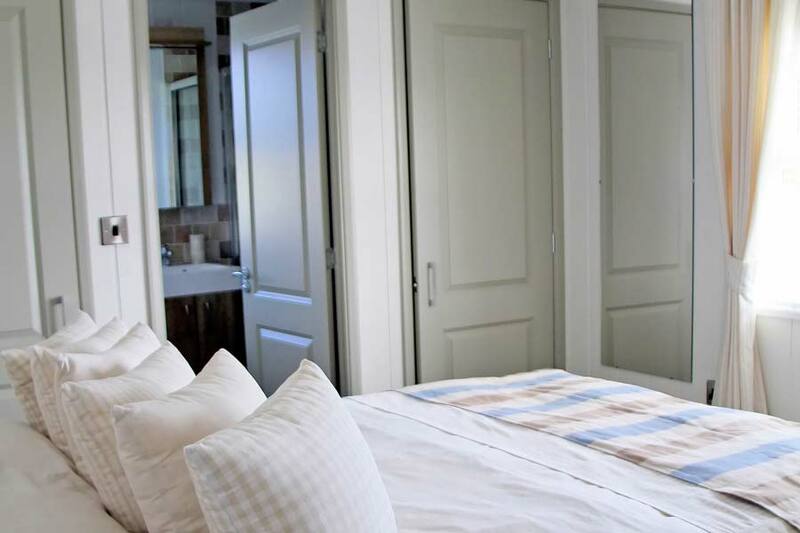 The king-size master bedroom is elegant and inviting, and has substantial wardrobe space and an en-suite with a large walk in shower. The second bedroom is laid out with twin beds, but it can become another double. The bathroom is designed with modern attractive fixtures and fittings. 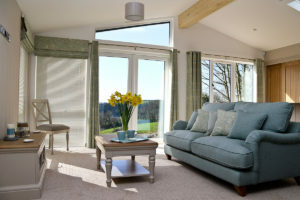 These lodges have the benefit of a being a high quality second home that costs significantly less than a traditional property. 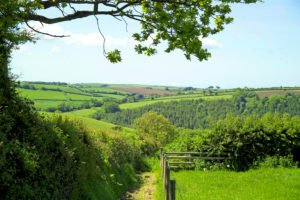 You also have the benefit of our team looking after your property when you are not there. 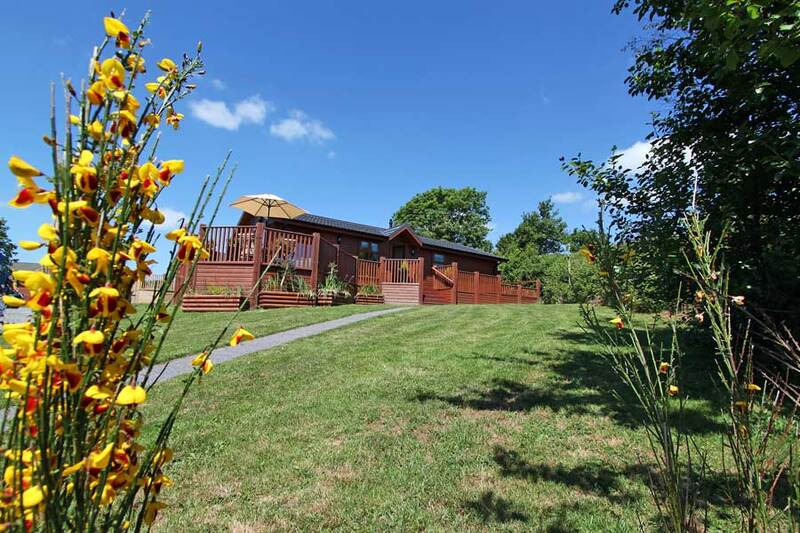 To be kept up to date on Spinney lodges that come up for sale, please contact us to express your interest and we will supply you details as and when properties become available.